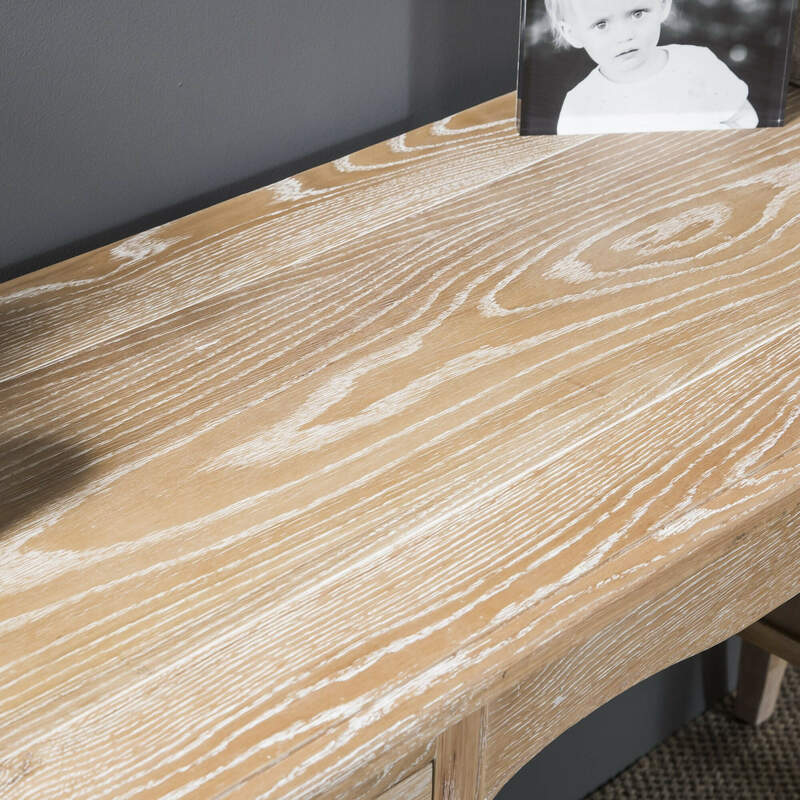 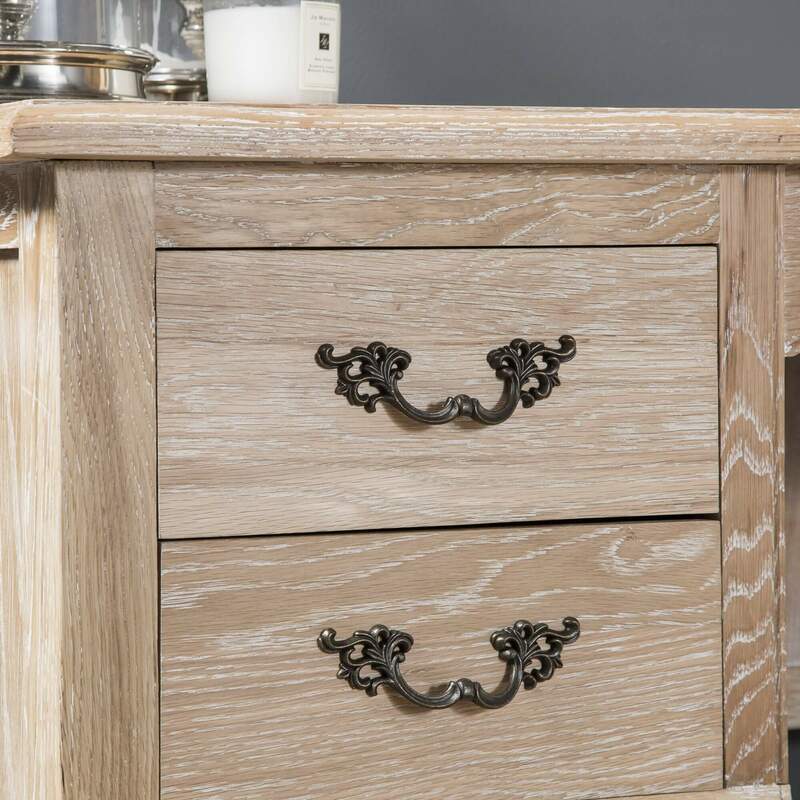 This beautifully designed French Oak dressing table is another fantastic edition to our French limed oak bedroom collection. 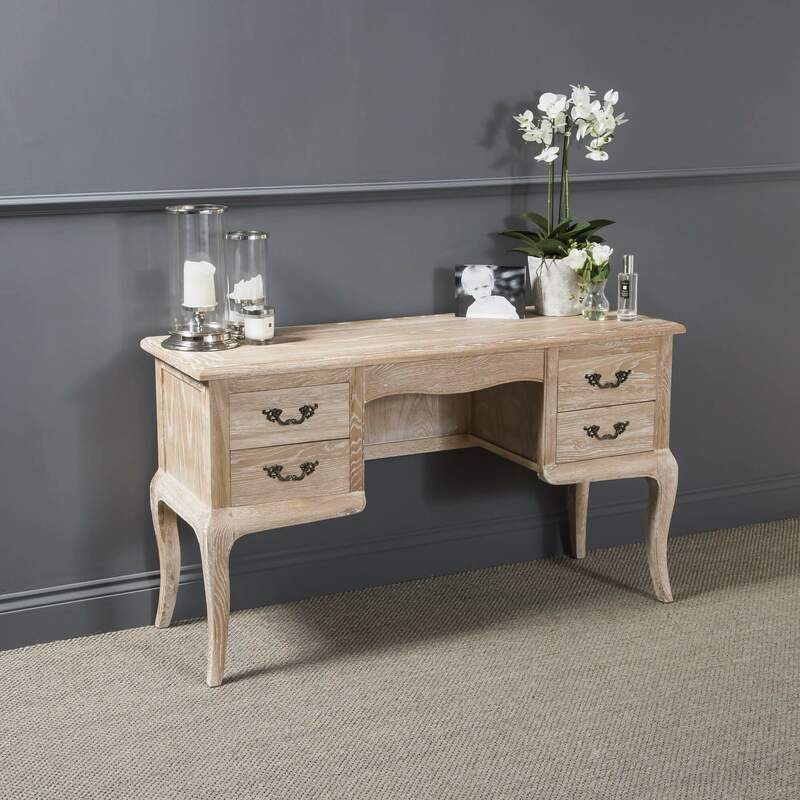 This dressing table features two large drawers either side having antique solid brass French style carved handles. 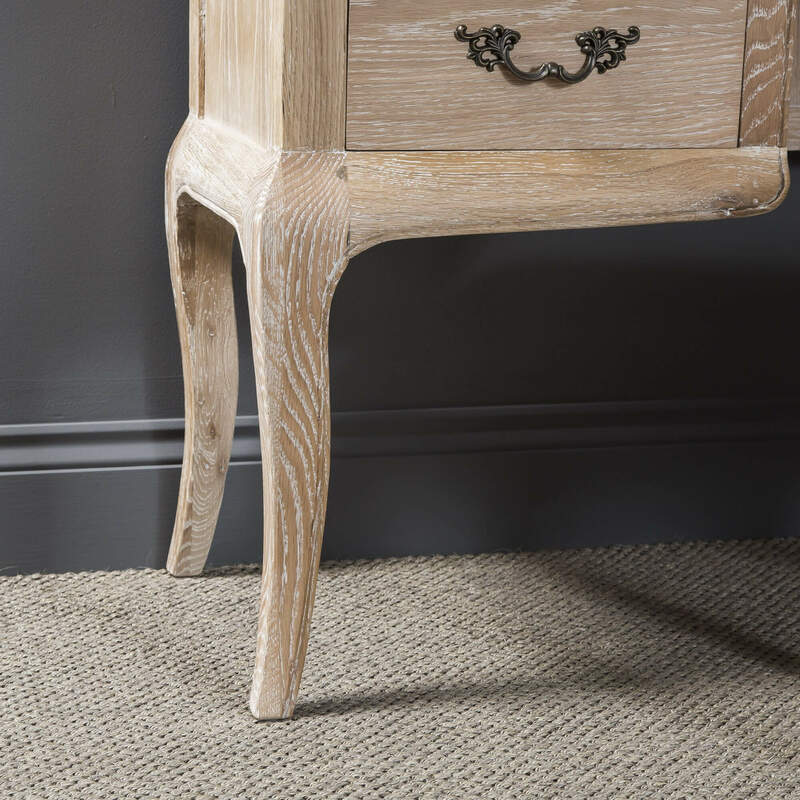 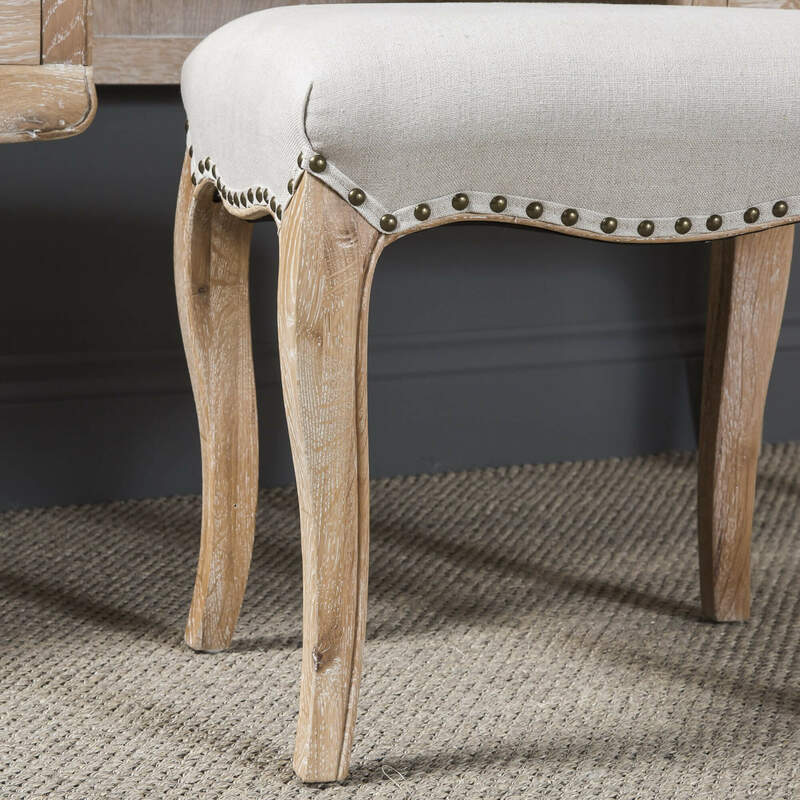 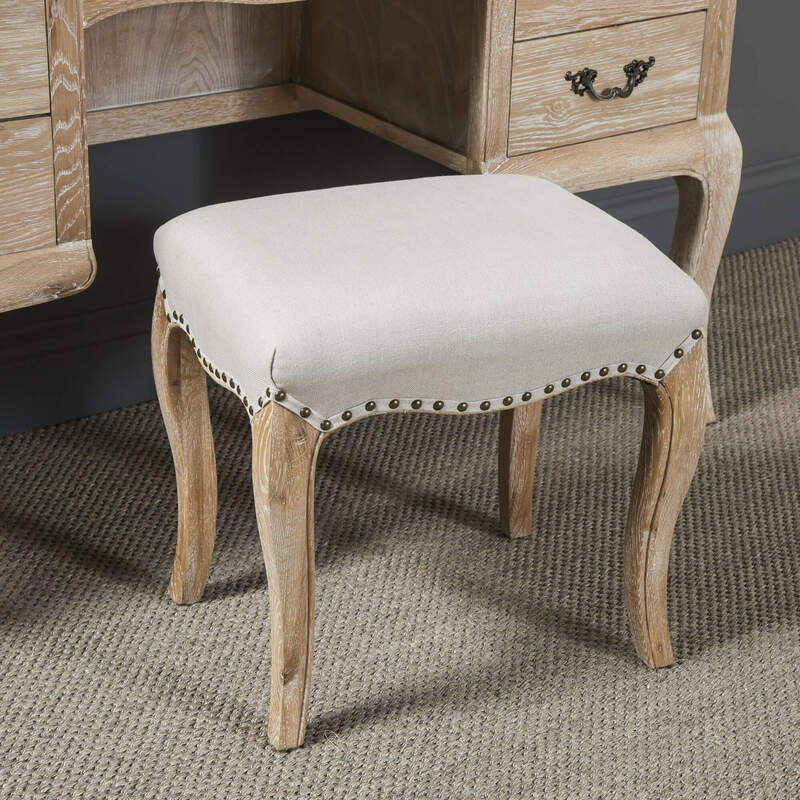 The dressing table sits on four cabriole carved legs and also included in the price is the dressing table stool which features an Oatmeal linen fabric seat pad with antique brass studs and sits over four cabriole carved legs.